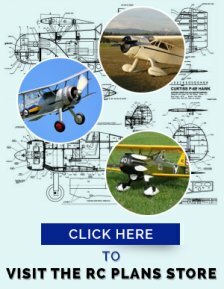 Scale Aircraft Drawings and how to locate them. THE RIGHT TYPE OF SCALE AIRCRAFT DRAWINGS CAN BE DIFFICULT TO FIND. 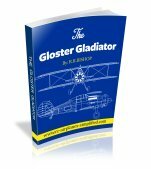 Before you can ever start the process of designing your own scale RC airplane, it is essential to obtain an accurate drawing of your chosen subject. Commonly referred to as a "3-view drawing" it invariably has more than 3-views. I suppose that the 3-views can be considered a bare minimum and should consist of a plan view and a side and front view. A view on the bottom of the airframe is usually of great help to the modeler but what is essential are fuselage cross sections and wing and tail sections showing the airfoils. A feature that is essential is accuracy! Find the scale of the drawing and check as many aircraft dimensions as possible. For example if the scale of the drawing is 1/72 (a common size for the smaller types) and the wing span of the full size machine is 40 Feet, then the wing span of the scale aircraft drawing should be 40 Feet divided by 72 or 6.67 inches. Check as many dimensions as possible. If the drawing dimensions are consistently inaccurate by the same ratio, then all is not lost! It may be that the stated drawing scale is not correct, possibly due to print scale errors. The full size machine dimensions may have to be divided by a slightly different scale factor to achieve the correct result. A further feature that I like is an abundance of surface detail like panel lines and rivet positions, along with color and markings information. I LOVE books and aviation magazines! It does not take long to build up your own library. For Christmas and birthday gifts my friends and family know what to buy me! Be careful! there are many aviation books that include beautiful colored drawings of aircraft- but they may not be accurate! 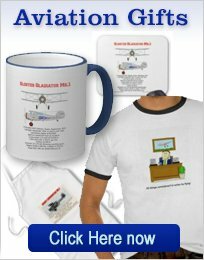 The line drawings by a reputable aviation expert are what you need. The artistic drawings can generally be used for colors and markings. 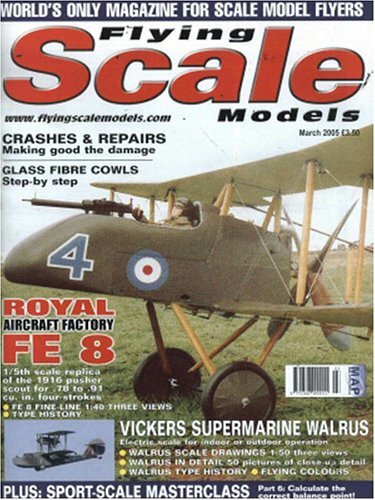 Flying Scale Models is a British magazine that is available around the world. As it's title suggests, the content is all about scale models, with the emphasis on RC airplanes. 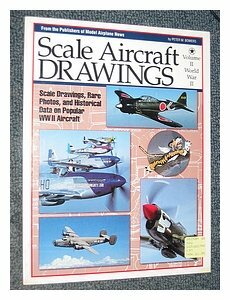 Each month it features a special on a particular aircraft that include scale drawings, color information and photographs. This is the one magazine I look forward to receiving every month! The quality of the drawings is first class and the articles and photos are superb. This is one magazine that is well worth saving as a reference source. 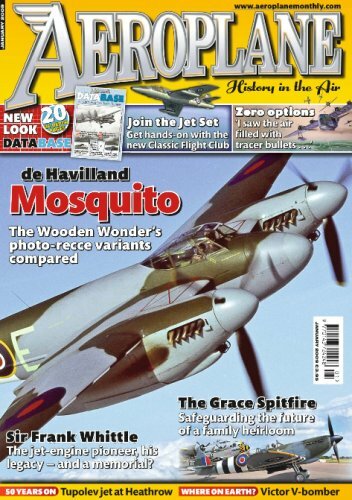 One other magazine I can recommend is the Aeroplane. This monthly mag always has an Aircraft of the month feature complete with excellent scale drawings as well as an in depth study of the type. The catalogue that Bob sells is well worth the money and can be recommended to all scale modelers. I have purchased drawings and photo packs from Bob and have never been disappointed. This is a very large site, with lots of free 3-view drawings available. Some of the drawings are not of a high quality, but some are very good. Take a look here -The Virtual Aircraft Museum. You may just find what you are looking for.